Why aren’t we at Fairewinds Energy Education surprised that Georgia Power will continue its Vogtle boondoggle for another half a decade? GPSC’s 5-Commissioners (supposed utility and energy company regulators), are elected to their cushy $116,452 per year salaries (2014 salaries on record) and run for office with 85% of their campaign funds as “donations” from Georgia’s energy companies, according to an exposé by the Atlanta Journal-Constitution Newspaper. Georgia has created a regulatory travesty for its people and small business owners. I wanted to take this opportunity to explain some of the history of the Vogtle Project along with its significant safety defects, and compare it to another historical financial and technological fiasco: the sinking of the Swedish warship Vasa. Although experts knew the Vasa was doomed, it set sail on its maiden voyage only to capsize within sight of the pier. Read below to see how Georgia Power and its Vogtle reactors are now embarking on the same path. This project – the last nuke standing in the nuclear industry claimed #nuclearrenaissance – was initially funded by federal subsidies (your and my taxes in case you did not know), ratepayer surcharges that are “prepayments” for the project – long before it ever, if ever, generates electricity, and Westinghouse payments that helped to drive that corporation into bankruptcy. The Vogtle Project, located near Waynesboro, GA, was a financial fiasco from start to what should be its discontinuation. Both construction costs and construction time have doubled. As we relearn too often, history repeats itself. For me that repetitive history is taking place now with the Vogtle Plant. Back in January 1625, Swedish King Gustav II Adolph commissioned the warship Vasa, which he hoped would become one of the greatest wooden sailing vessels ever built in the entire world. The original plans for the Vasa contained 32-guns, and then a second gun-deck was added above the first increasing the ship’s armament to 64-guns. To accommodate for these added guns, Swedish King Gustav and his sailing vessel craftsmen conceived a newfangled strategic innovation to build the Vasa sailing Gunship with two tiers of guns. The Vasa’s keel – the major beam that runs through the center of the boat and connects all its ribs – it is akin to a person’s backbone – was spliced and lengthened in order to accommodate the double-deck gun scheme after construction had already begun. Other hefty features were added, including beautiful ornate wooden carvings further increasing the Vasa’s topside weight and further delaying its construction. Stability concerns for the top-heavy Vasa were ignored as she set sail on her maiden voyage more than 3 ½ years after King Gustav first envisioned this allegedly superior warship. As crowds lined the pier and Sweden’s King looked on in pride, the top-heavy warship was buffeted by a gust of wind, capsized, and sank only a mile from the dock. 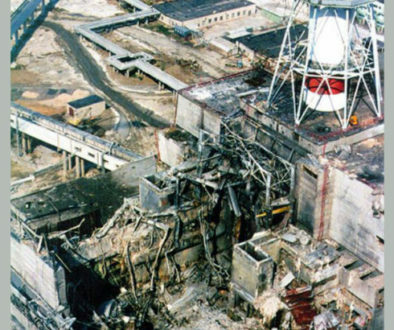 The Vogtle fiasco is no different than Sweden’s pursuit of the Vasa – its illusory world-renowned warship. Vogtle and the Vasa were both plagued by mismanagement, schedule slippages, engineering concerns, and crippling cost increases. 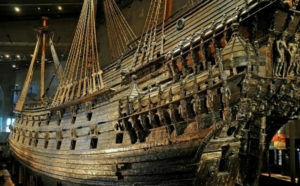 The Vasa was recovered from its watery grave in 1960 and now is the centerpiece exhibit in a Swedish museum. While tourists marvel at its ornate carvings, graduate students in Master of Business Administration (MBA) Degree programs study the causes of this calamity, which worldwide has been named the Vasa Syndrome, a classic example of hubris and overreach in the midst of worldwide technological and strategic change. Like the Swedish warship the Vasa, the purported nuclear power renaissance asserted by the heavily subsidized atomic power industry attempted to construct a new nuclear power armada of 31-proposed so-called “advanced” atomic reactors. This purported nuclear power renaissance has capsized at the pier without firing a shot of electricity to any community while ratcheting up billions of dollars in consumer costs and taxpayer subsidies all over the United States (U.S.). After significant financial losses to real people and local communities, while assuring years of profits for the atomic power vendors and nuclear plant owners and stockholders, fully 29 of the proposed 31 illusory new reactors have been either indefinitely postponed or totally cancelled after a great waste of money in what could have been a true investment in America’s energy infrastructure and renewable power sources. 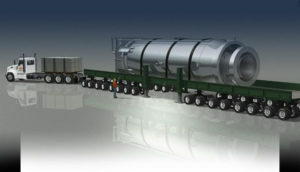 These days the only two remaining proposed reactors under construction are for Georgia’s Vogtle nuclear power plant site. 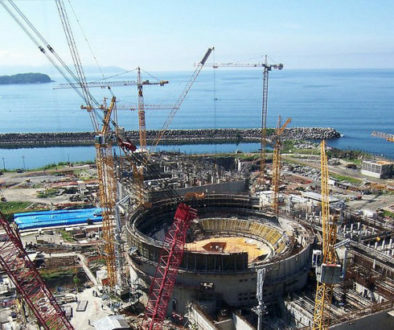 The construction schedule for these reactors has more than doubled as their construction time approaches 10-years, and its anticipated construction costs are near $25 Billion, which is considerably more that the originally proposed $10 Billion price-tag. In a true capitalistic system, these nuclear power reactors would have been canceled some time ago, but the pronuclear good ole boy Georgia Public Service Commissioners have kept these two outmoded and unsafe AP1000 nuke reactors on forced consumer life support. Consumers in Georgia are already paying an extra $120 per year to finance this fiasco. The sinking of the Vasa was a major disaster for Sweden. The country was at war with Poland and the ship was needed for the war effort. No expense had been spared. The Vasa was the most expensive project ever undertaken by Sweden and it was a total loss. The ship’s captain survived the sinking and was immediately thrown into jail. On August 11th, the day after the disaster, a preliminary board of inquiry was convened. Incompetence of the captain and crew was ruled out and the captain was set free. A formal hearing was conducted in September of 1628. No exact reason for the sinking was determined and no one was blamed. It’s a financial horror that America had not learned the Vasa’s 300-year-old lesson! Well before the nuke power industry’s 31-fantasy nukes were even proposed, the worldwide electric energy market was in the midst of enormous technological change. Renewable energy technology is easy to harness, energy storage is available, and consumer appliances like refrigerators, washers, and dryers are now more energy efficient. Across the world, growth in sustainable and environmentally friendly energy technology has been stymied by spending on atomic power plant construction mismanagement, schedule delays, engineering problems, and crippling cost increases. The gust of wind that finally capsized the mythical nuclear renaissancewas its top-heavy cost structure and absolute refusal to embrace new consumer and ratepayer friendly advances in generating electricity. A change in generating electricity from the 20th century business plan of major corporations owning giant CONG (Coal, Oil, Nuclear, and Gas) power plants that benefitted the corporate status quo to the renewable and sustainable customer friendly distributed power grid was long-foreseen by energy experts and energy investment financial advisors, but denied by electric and utility regulators whose investments and stock options kept them focused on personal enrichment. Now, prevailing corporate utility and energy production owners continue to pilfer the pockets of unprotected consumers and small business owners for the astronomical costs of dozens of incomplete reactors. These potbellied corporate enterprises now claim that such exorbitant costs were “prudent” and an unforeseeable “perfect storm”. The truth of the matter is that the gust of wind that caused the self-proclaimed nuclear renaissance to capsize was just like the one that capsized the Vasa: the problems at Vogtle and the other defunct atomic power reactors are due to top-heavy structures created by management hubris and overreach to earn huge personal salaries (over $4.3 Million for Paul Bowers, the CEO of Georgia Power) with perks like private jets and country-club memberships, while you and I are challenged to pay our bills and support our families in this new more unfriendly to former middle-class American breadwinner. -Tell that to Georgia’s ratepayers who will be billed for this ongoing waste of their money. -Tell that to the Atlanta Airport and all the holiday travelers who were stranded with no electricity for more than 10-hours. Is this the company you want operating an unsafe and untried design on a new atomic power reactor? -Not the kind of Southern Hospitality my family and friends down South deliver! -Home is where one’s heart is, not a cash-cow. Time for the people of Georgia to elect regulators that respect consumers’ needs to economically heat and electrify their homes. Vogtle – End of the Nuclear Renaissance? Vogtle – End of the Nuclear Renaissance from Fairewinds Energy Education on Vimeo. As the United States (US) energy economy entered the 21st century, the atomic power industry declared that this century is the beginning of an alleged Nuclear Renaissance. In response utilities and energy corporations placed orders for 30 brand new allegedly ‘safer and more modern reactors’ named the AP1000. The Nuclear Regulatory Commission (NRC) was so convinced that the Nuclear Renaissance would occur that it built a brand new mega office building to hold all the extra staff the NRC anticipated it would need to regulate these new reactor designs. Colleges and universities around the country also ramped up their nuclear engineering degree programs in anticipation. Now all but two of those 30 proposed nukes have been cancelled. All preliminary preparations were over budget, behind schedule, not cost competitive compared to renewables, and then due to conservation and new digital components, the electric demand simply failed to materialize. The Nuclear Renaissance is now dead except for two lone plants called Vogtle 3 and 4 near Waynesboro, Georgia. Although the ongoing construction and operation of these two Georgia atomic power reactors makes absolutely no economic sense, they continue to be supported and moved forward by a pro-nuclear Georgia Public Service Commission that has the two plants on life support. Using federally funded loan guarantees and forcing current ratepayers to pay for these outmoded nukes in their current electric bills years before they will ever, if ever, generate electricity, the Georgia ‘good ole boys’ continue to support the business interests of their cronies instead of their own constituents: the citizens of Georgia. While these cost overruns have made national headlines, no one seems to be asking the important question: are these atomic power plants – first designed more than 20-years ago –even safe to operate if they should ever be completed. For the past eight years, Fairewinds chief engineer Arnie Gundersen has worked with environmental groups all around the southeaster US in their campaigns that prove this AP1000 reactor design simply is not safe. Bottom line: Not only is Vogtle too expensive, but the AP1000 reactor is simply not be safe to operate if it is built. 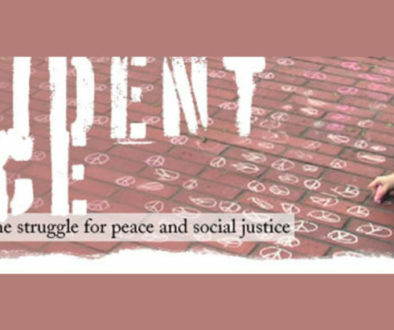 In August, Arnie and Maggie were invited by the Blue Ridge Environmental Defense League (BREDL) to present this material showing the inherent risks of the AP1000 reactor to citizens’ groups gathered in Decatur, Georgia (GA) adjacent to the DeKalb County Courthouse and as an invited guest speaker at Paine College in Augusta, GA. Listen now! A new study from the Lazard financial firm shows that not only is it cheaper to operate renewables compared to coal and nuclear power, but it’s actually cheaper to BUILD new renewable and sustainable energy options than continue to run outmoded dirty coal and atomic powered plants! This eye-opening study has been echoed by a United Kingdom (UK) National Audit Office (NAO) report and The UK Department of Energy & Climate Change, which found that per megawatt hour, the cost of onshore wind power and large-scale solar would be 60 percent LESS than electricity produced at the UK Hinkley’s Point Nuclear Power Plant. With this new information, all of us would think that most energy producers would see through the smokescreen and choose cheaper and cleaner energy sources? In some cases, this is true, but pro-nuke industry groups keep clamoring for Small Modular Reactors (SMRs) that they claim are a more “affordable” nuclear power option. Safety, waste issues, and the huge cost of decommissioning aside, how do these SMRs compare to other renewable options? Another UK government study shows that in fact, power from small modular reactors (SMRs) would costnearly 1/3 more than the current outmoded large nukes, which we already know is triple other sustainable and renewable energy sources! In Fairewinds’ eyes these financial assessments and governmental reports give absolute proof does not put these nuclear that atomic SMRs are no competition for the successful and proven technologies of small modular RENEWABLES like solar and wind. Once again, Fairewinds Energy Education asks energy producers, consumers, and practical thinkers around the globe to see through the Atomic Power Smokescreen and create smart energy investments today. Smokescreen from Fairewinds Energy Education on Vimeo.